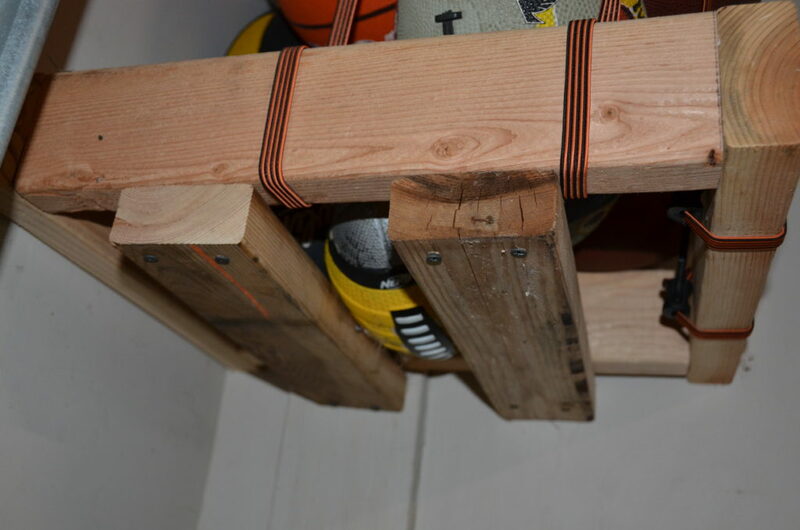 Living with a house full of kids often equals a house full of sporting equipment…most specifically balls. If your garage is anything like ours…this equipment is everywhere. It is difficult to keep it organized. Often this leads to frustration when we are on the way out the door to practice because inevitably the required ball is no where to be found. Somewhere along the line we came up with this simple idea to help us resolve the issue. 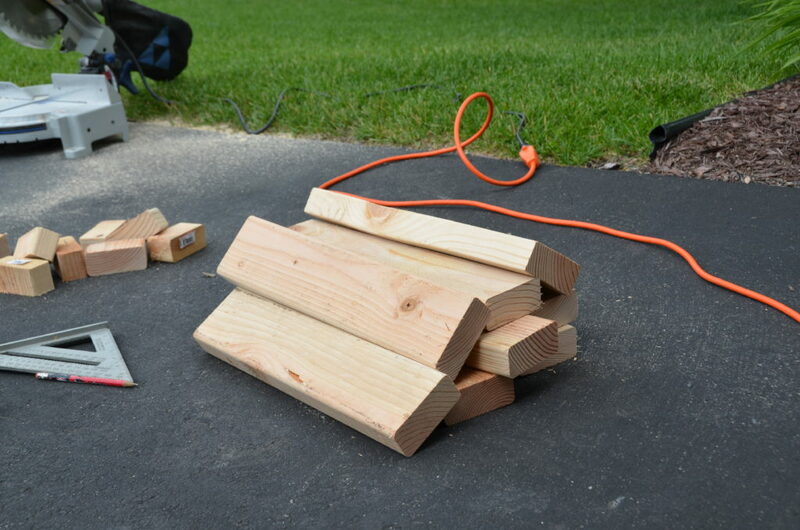 It is simple to create, relatively inexpensive, and utilizes an abstract corner of the garage that often goes unnoticed. 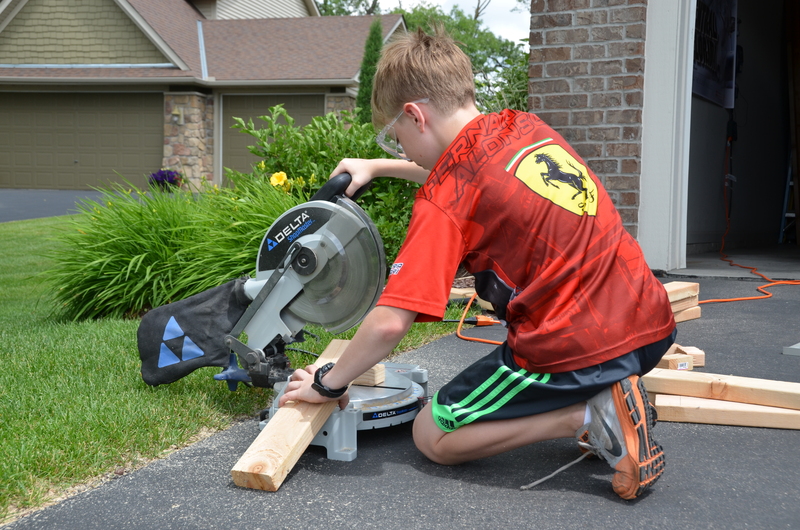 Our son was excited to assist with the cutting of each board. In the Fitzy house we start them early! He loves a good project just like his daddy! 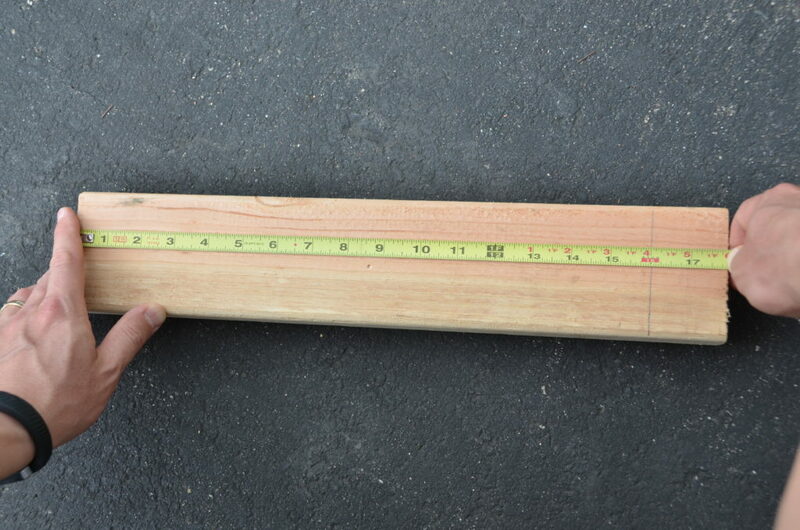 We measured each board at 16 inches. For this project 10 pieces are needed. We cut all the boards first to make it easier to assemble the entire unit. We installed the upper frame first. It was placed approximately 69 inches from the garage floor. 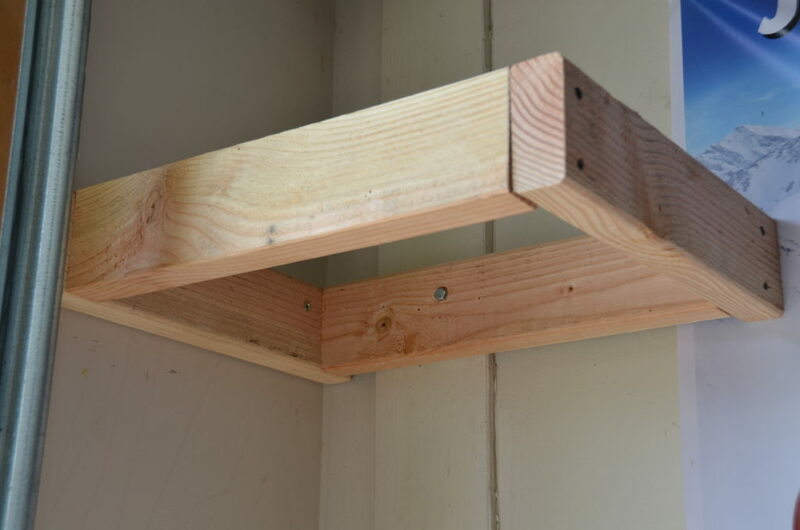 When placing the bottom frame we measure approximately 25 inches from the garage floor. On the top brace we simply attached the bungy cords by wrapping them around the wooden frame. 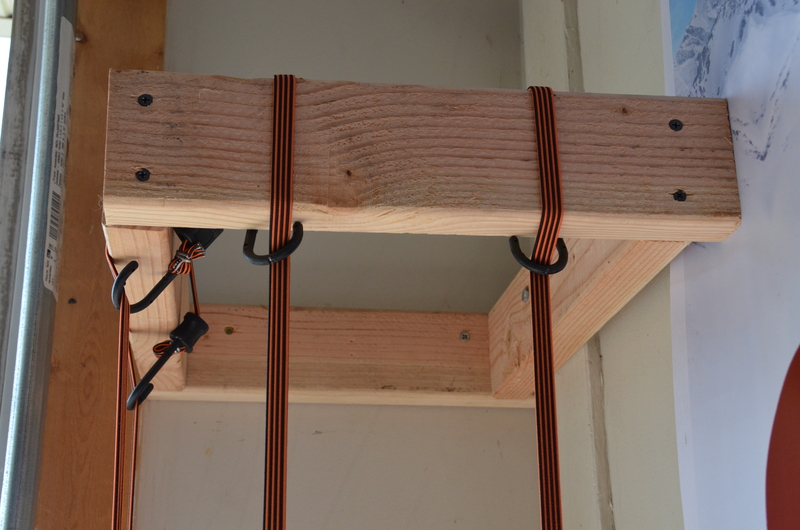 We used the same method to attach the bungy cords to the bottom frame. With four pieces for each frame, we also installed two of the 16 inch pieces along the bottom side of the bottom frame to hold the balls in place. The kids were really excited about this project and thankfully have enjoyed putting their equipment away. Plus this momma is happy with a cleaner garage!